On December 14, 1991, I dropped my wife at the hospital as the doctors prepped her for delivery and drove the four miles back to the house to get an overnight bag and the baby-delivery items we were told to pack. It had begun snowing. 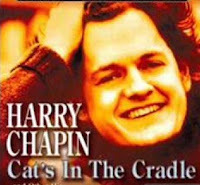 On the way to the hospital again, the driving was slow along Interstate 290, and what should play in the radio but Harry Chapin's song Cats in the Cradle. You'll have to YouTube it for yourself to understand this song's significance for a young father-to-be on his way to deliver his first child. It was always a significant song for me, and in that moment I knew I would be involved in every moment of Andrew's life (we actually had "Amanda" as a name but he ended up being a boy, but that's another story how his name came to be, for another time). He was born in a wild delivery with dropping blood pressure, separating placentas and emergency C-sections, delivered in the wee hours of December 15th, five weeks premature, small but healthy. The years that followed were amazing times: baby raising, potty training, playing with dinosaurs and cars, getting him through the "chicken pops," first day of school, cub scouts and Webelos where I was the den leader, watching Star Wars for the first time, reading books every night, vacations, hiking, swimming, then eventually high school and college. Finally, helping him move out to New York. Life's gotten interesting in the last decade, but the rumblings have settled down. The boy is now a man, living and working in the Big Apple, living his life, preparing to come home for a few days at Christmas. It'll be good to see him. It's weird. Every parent goes through it at some point. Years ago I moved from seeing my kids every day, to less often, as they moved through their own lives. They call, sometimes (and I whine about the frequency like the good empty-nest father that I am), visit, email. His sisters are better at it than he is. I suppose I was no better at his age, it all comes around, don't it? I still think often about the first night of my son's life a quarter century ago, listening to that very specific song. It think I did OK as a Dad, and though the future is a dark mirror, the next twenty-five will have its own adventures and challenges as a father, and for three adult kids, and our new two-year old. But today (well, yesterday as I polish this up), is a day to celebrate my First's first quarter of life. I miss him, as all Dads do when their children are no longer children and become who they were destined to be. We do the best we can in that first quarter century, imparting what we can, both deliberately and accidentally. After that, it's in His hands, and theirs. The above verse is described by Solomon as a burden God has set on the human race. Strange, that having eternity in one's heart is a burden. This verse had come up a few times over the last week. 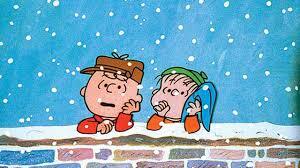 Or maybe I'm just receptive to it with the mid-Christmas season upon us. I don't actually think that, but it sounded like a good way to work Christmas into this entry, though I don't think I'm going that route tonight. It's been an off month for me. Not a bad one, there have been good, even great things in life laid at my feet so far. But I've been disconnected in a number of ways. I think I've mentioned that already. Maybe this will be a good way to reconnect with... something. Been talking Ecclesiastes with couple of folks lately. This has always been one of my favorite books of the Bible. Probably because, for one thing, it's just such a different tone from the others surrounding it. Much lighter, philosophical. But it doesn't start out that way. If you read it purely at face value the opening chapters seem very saturnine, negative in their view of the meaning of life. But it's not. It's vastly clever how it works around to being the closest anyone's every managed to explain the meaning of life and keep it hopeful and encouraging. Makes me almost believe King Solomon really was the wisest man in history. But I don't want to wax too long on the book. Just the line in the verse. What does it mean to have eternity in your soul? Well, overall, it would give you a hunger for something more, beyond your everyday world. Your toil, and all that. A hunger for God, for some power above your own, and an ability to understand the implications if such a God was focused back on you. It also is the reason for watching foreign movies, and feeling that craving to visit France, walk on its streets, or wander under the flowering branches in Savannah, Georgia or sip a Guinness in a pub in Ireland. It's a craving for something more outside one's small circle of grass. That's not it, completely. It's an inner knowledge of something more outside, and a desire to explore, to reach into the hole and see what you find, or what bites you. A friend of mine used this line when describing my daughter. She'd met her one night, had heard about her various adventures (most recent of which was a 2000 mile road trip with her cousin and friends to North Dakota to protest the pipeline) and told us the next day that she (my daughter) had eternity in her soul. She was searching for The More. Exploring the world outside her bubble and deciding for herself what it all means. Everyone has eternity in their souls. Some people use its existence in different ways. As artists, we dive into it, build worlds, or perhaps just an expression of the bigger world we feel blossoming inside us, trying to get out. Paint. Chisel and stone. Words. Mostly, I use words, building worlds and the people residing within them to see what I find. The best creations are those that ring the most true to us as their creators. The best of those are formed when we share the act of creation with the very eternity we’re trying to uncover. I'll leave it at that. It's a loaded sentence. The trick is to take a breath when we come to the surface, blink away the light that’s filled our eyes, and live in the real world, the small circle of grass that is ours and which we share with others. Spouse, family, kids, friends. We should be different each time we come up, when we return from our journeys into The More, but always, we should be better. Some crave only a return to eternity's depths, too weighed down by the burdens of normalcy. But, I think, that's not the purpose of these trips. Always, it is for the return. To bring back a piece of it with us, to share it. What's inside us must come out, be it the light we're told to keep uncovered, the unique perspective formed from our explorations, perspectives which might enhance or alter another's thinking, or a bigger love for those we, at times, leave behind. A true love, agape, because we are contented, having dove into eternity in whatever way we tend towards, and cherishing the knowledge we will go back there again. And again. 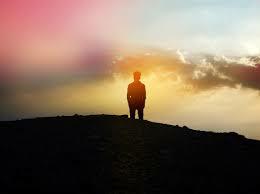 Nothing you discover, and no one you cherish, is ever a burden. 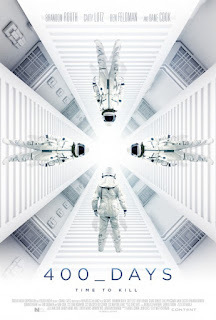 My review of the indie science fiction film 400 DAYS (2015) is now showing at Cinema Knife Fight. Has some potential, but in the end fell short of the mark I think. 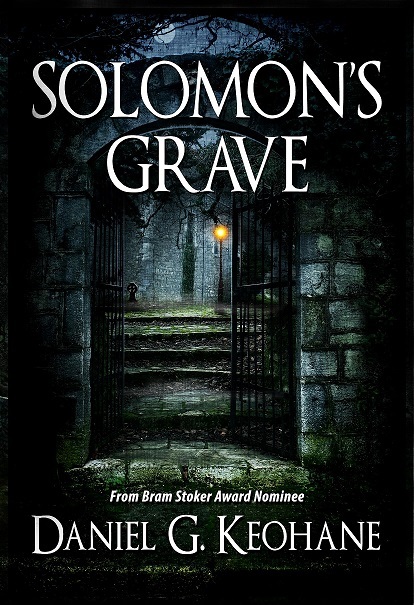 So, I recently got my rights back for my first novel, Solomon's Grave, from the publisher. 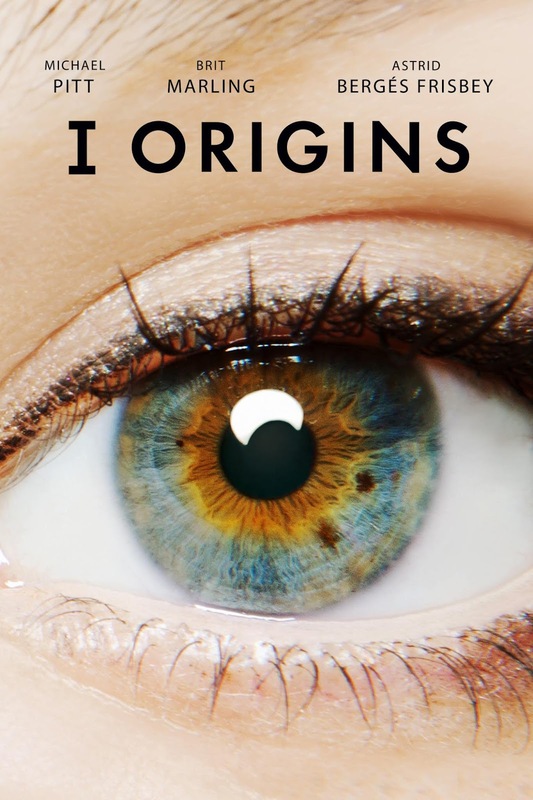 After seven years, with no real sales to speak of after the initial release, I decided it could do with a shake up, perhaps put it out myself, give it a once-over, new cover and, most importantly, lower price. I've considered perhaps finding a new publisher for it, but to what end? It's the beauty of the market these days, most presses won't bother with a title which has already found its audience - what would it benefit them? I think there is still a market for the baby, but it would require a little marketing to get it in front of readers, something most small presses don't do (and, admittedly, most authors, myself included). I have the book pretty much formatted for print and Kindle, but decided to read through it, tighten it up a little. Is is, after all, my first novel and I can tell I've gotten a little better at this long form game since then. Nothing major so far, just a nip or tuck in the writing. I'm hoping it'll be out before Christmas. We'll see! So, having been active more often on Facebook this past year, one tends to neglect one's blog, at least for posting more personal musings. I plan to do more here... I even got a blogger app for my phone, and am typing this on a tiny virtual keyboard with my thumbs. This can't be healthy, in some way society won't discover until it's too late and a new, horrible strain of carpal tunnel is discovered. Thanksgiving has come and gone, and I have to say it was a good one. My son came up to visit from NYC for a week and a half, youngest daughter visited from college, and older daughter borrowed our minivan to travel four thousand miles round trip with my niece and their friends to north Dakota to join the pipeline protest, and made it home safe and sound. As did my minivan in a less important way. Proud of all of them, and their almost baby brother (Linda and I are adopting) loved having them all around. Now, we have the Christmas tree up, decorations scattered throughout the house and time to start looking towards December 25th. This morning a question was asked at my church men's group, what are we all doing between now and then to prepare for Christmas, to develop a deeper understanding of ts significance to ourselves and the world around us. The conversation veered off before I could answer, which is probably good because I hadn't ever really thought about it. Getting ready for Christmas always meant shopping lists and visiting and church and friends and family events and watching the Grinch and The Family Stone. And, oh yea, the true meaning of Christmas somewhere in there, at a high level. What is that last one anyway, and how do we get ready for something that mind boggling and significant? Well, I guess I'll think about it, chew on some ideas and maybe spit them out here. We'll see. Not tonight. My thumbs are getting tired. Back in the day this blog served as confidente, counselor, and an historical record of my life external, and internal. My heart. Let's see if we can't get back to that more often. I'll also start posting more on my alter ego's page gdanielgunn.com as well. Hope you all had a great Thanksgiving, and let's see what we can do to make Christmas even better. 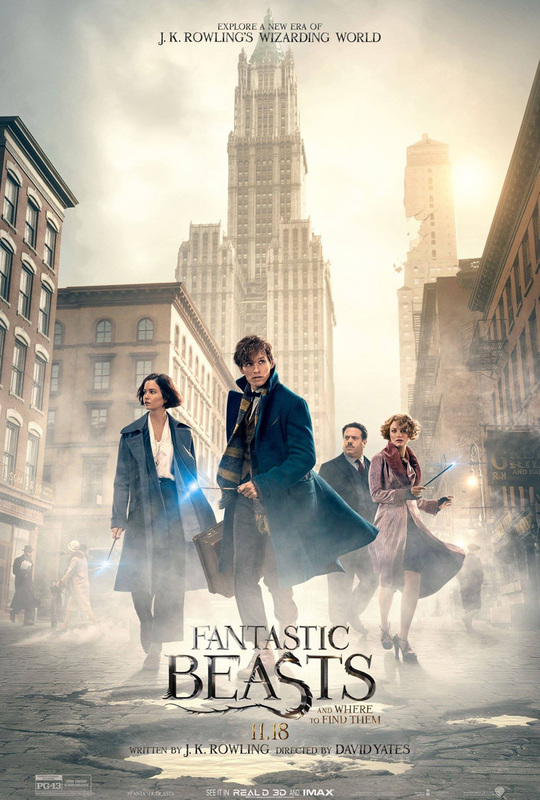 I caught the newly-released FANTASTIC BEASTS AND WHERE TO FIND THEM (2016), J.K. Rowling and David Yates' return to the world of Harry Potter (sort of). My review and discussion on the film is now playing at Cinema Knife Fight! Well, my new science fiction novel, Plague of Locusts, is now officially out there in the cruel world of submissions. Meaning, after a brief stint of putting some books out myself, to some acclaim, and before that spending years with agencies trying to sell my not-always-easy-to-peg (marketing-wise) novels, I've decided to try the traditional route to publishing again, especially with this novel and the upcoming horror novel. I'm not trying to cold-sub to publishers, not at first. As of today, Plague of Locusts has been submitted to a couple of major New York agencies. I may submit to more as I continue my research. They may, may not, get back to me, as they say right on their guidelines, to paraphrase, "Due to the large volume of submissions, we will only respond if we're interested." I suppose that's fair, in some ways, though a brief "no thanks" would always be a nice thing to do. But I've been down this road before, and have much thicker skin. So, out it goes, and in the meantime I've been working on an outline for a sequel to Plague of Locusts - not writing it, not even (yet) outlining, but world-building. 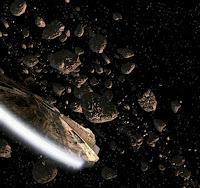 What has happened since the close of the novel, histories of the new worlds we're going to discover, and at some point, decide where the second in what I'm called the Vast Array Series, will kick off. I had a great epiphany about the people on a certain world, their history, etc, and am starting to get excited about it. VA #2 will possibly take place a couple of decades after #1, but not exactly sure yet. Also, Lost in the Woods, the horror novel, is in the late editing stages, and I'm going to run through this over the next month, print it off, and hand it to my first reader(s). More as things develop. I've been too long remiss in adding my voice to this blog. I'll try to do better. PS: Oh forgot to mention! 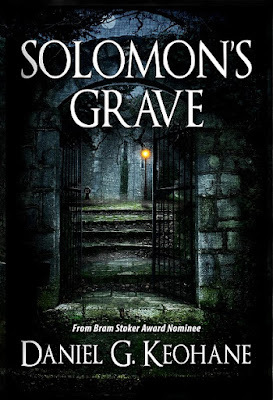 Solomon's Grave, my first novel, is currently out of print. After getting my rights back, I'm debating whether to release it under my own label or not. More as I know what I'm doing. 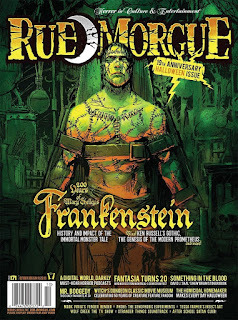 Interview with Me and the NEHW in Rue Morgue Magazine! Tom Deady has interviewed me and others from the New England Horror Writers organization in the current anniversary edition of Rue Morgue Magazine! 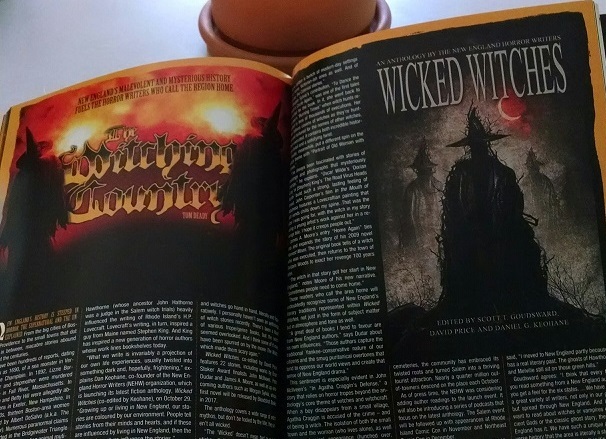 The primary focus is the publication of our new anthology, Wicked Witches, but it's a 2-page spread in one of the biggest, most-read magazines in the horror genre. Awfully cool. 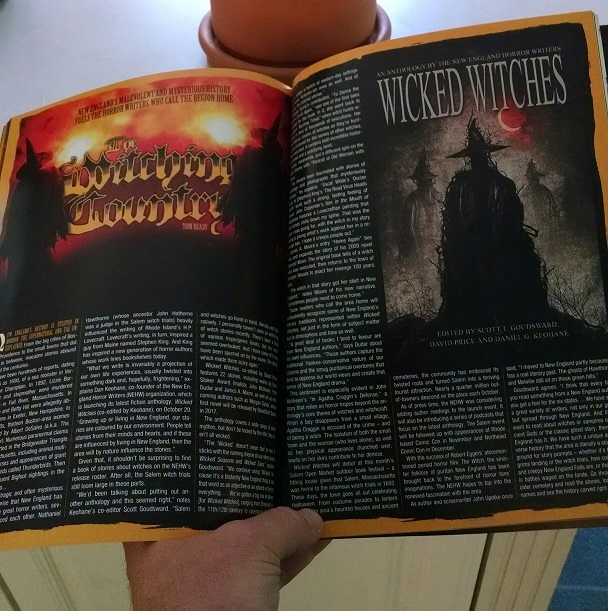 Wicked Witches: An Anthology of the New England Horror Writers is now Available! Now available: a new anthology, in celebration of the NEHW's presence this Halloween weekend in Salem, MA. 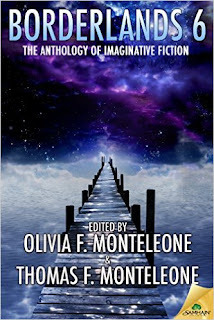 An anthology of all-original short fiction from some of the best writers in New England. Co-Edited by Scott T Goudsward, David Price and me! 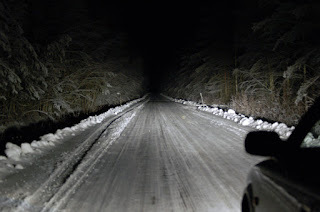 New England has a rich, dark history with the supernatural. From this region many writers of dark fiction have fueled their stories. One chapter in history has been the stuff of legends and nightmares: the Witch. Look to ancient mythology or your next door neighbor and you will find them, practicing arts both Dark and Light. 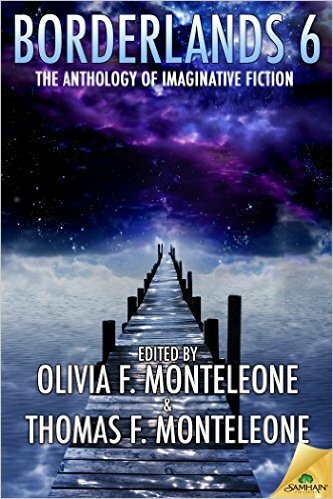 The New England Horror Writers proudly present a new anthology which pays tribute to those whose ancestors were accused, hung, pressed, drowned, or burned at the stake. Enter these pages, wander the hard roads of Colonial America or modern corporate boardrooms, to face the Witch. 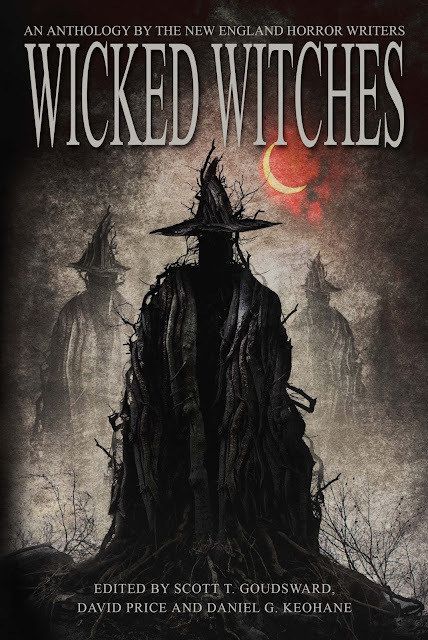 Wicked Witches, fiction and poetry from New England’s most talented writers: G.D. Dearborn, Barry Lee Dejasu, Peter N. Dudar, Jeremy Flagg, Joshua Goudreau, Catherine Grant, Jan Kozlowski, Patrick Lacey, Izzy Lee, Nick Manzolillo, John McIlveen, Paul McMahon, James A. Moore, Errick A. Nunnally, Ogmios, Suzanne Reynolds-Alpert, Doug Rinaldi, Rob Smales, Morgan Sylvia, K.H. Vaughan, Morven Westfield and Trisha J. Wooldridge. Introduction by Penny Dreadful. 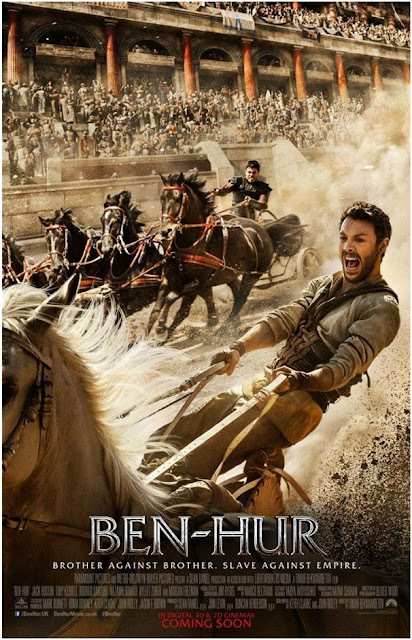 My review of the new historical epic BEN-HUR (2016) is now showing at Cinema Knife Fight. 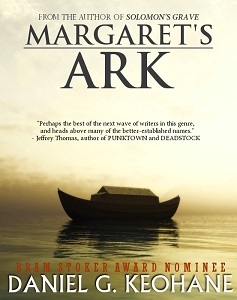 Check it out and see how it stands against its predecessors, and even the book on which it's based. 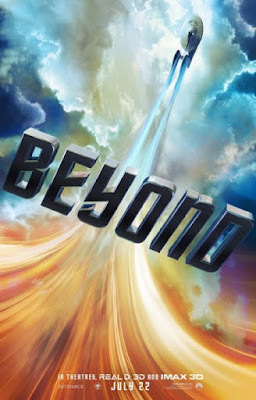 My review of STAR TREK BEYOND (2016) is now playing at Cinema Knife Fight in a special Saturday edition. This is the third in the J.J. Abrams Trek reboot series. Check out if it holds up to the first two. Wheels and Heels Against MS 2016! As the summer continues to swelter along, the MS Challenge Walk is fast approaching. After being unable to participate in last year’s event, Anne is more determined than ever to get back on her bike and return to battle in our fight against Multiple Sclerosis! Although Anne’s MS continues to try and get the best of her, she fights back even harder. She refuses to let MS win and I never cease to be amazed and inspired by her courage. On September 9th, we will return to the roads and bike paths of Cape Cod for our 3-Day, 50-mile journey. As the MS Challenge Walk enters its 15th year, we remain determined and steadfast to celebrate that day when MS is nothing but a memory. Multiple Sclerosis is a frightening disease that affects the central nervous system. The symptoms may be mild (such as numbness in the limbs) or severe enough to cause blindness or paralysis. The severity and specifics of the symptoms of MS can’t yet be predicted, but advances in research and treatment are giving hope to those affected by the disease. Each year, we have looked to you for your emotional and financial support. And each year, you answer the call and prove yourselves true heroes to our cause. We hope that you will continue by our side as we walk and ride again to stamp out MS once and for all. No donation is too small! Your donations to the National MS Society not only help fund vital research, but also go towards helping those who battle this disease every day. As in the past, there are two ways you can donate. You can also mail a check, making it out to The National MS Society. Thank you all so very much for your continued support!! 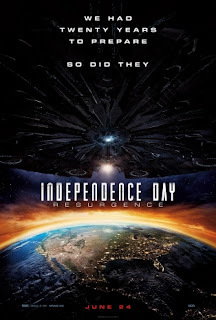 My review of the first of many summer blockbusters, INDEPENDENCE DAY: RESURGENCE (2016) is now showing at Cinema Knife Fight. Check it out! Hi, All. 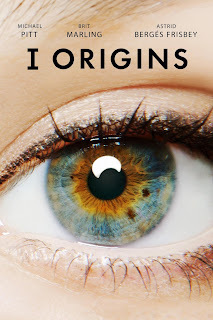 My review of the indie Sci-Fi movie I ORIGINS (2015) is now playing over at Cinema Knife Fight! 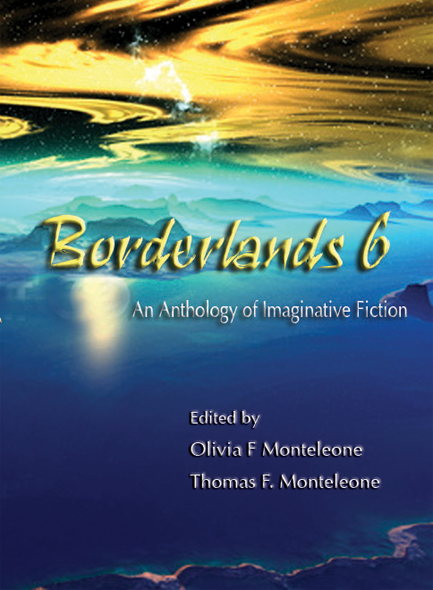 The signed, limited hardcover edition of Borderlands 6 is being released in a week, and is available now for preorder here for $50.00! As well, the kindle edition, published through Samhain Publishing, is also available for pre-order here for only $5.99! There will also be a trade paperback edition, though not sure when this will become available. Soon, I imagine. It's going to be a great line up. Edited by Tom and Olivia Monteleone, and featuring stories by M. Louis Dixon, John McIlveen, Jack Ketchum, Rebecca J. Allred, Dan Waters, Michael Bailey, John Boden, Trent Zelazny & Brian Knight, Bob Pastorella, Peter Salomon, Carol Pierson Holding, Steve Rasnic Tem, Darren O. Godfrey, David Annandale, Anya Martin, G. Daniel Gunn & Paul Tremblay, Gordon White, Sean M. Davis, Tim Waggoner, Bradley Michael Zerbe, and Gary A. Braunbeck. Also included, one amazing previously-published novelette by David Morrell. Interview with Sci-Fi Saturday Night This Week! 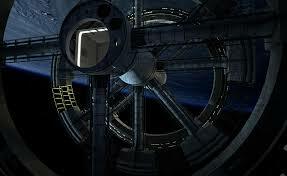 This week I'm going to be interviewed by the podcast Sci-Fi Saturday Night! 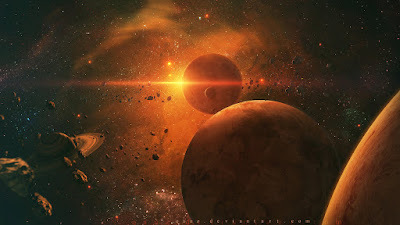 You can catch the interview LIVE this Wednesday from 8:00 - 9:00 pm EST (my interview is around 8:30 pm) or visit http://scifisaturdaynight.com and watch the recast on Saturday night (hence the name!). I met these folks during Supermegafest and am looking forward to chatting with them! Review of the Film CRIMINAL Now Showing at CKF! My and Michael Arruda's review of the action thriller CRIMINAL is now playing at Cinema Knife Fight. 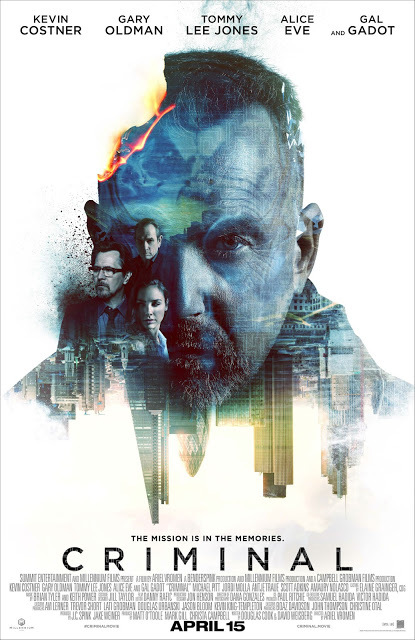 I enjoyed this one, especially Costner's amazing performance as a psychotic sociopath killer implanted with the memories of a fallen CIA agent in order to save the world. Supermegafest Comic Con This Weekend! This weekend, April 8 – 10, I’ll be attending, as an author guest, the Supermegafest Comic Con in Marlboro MA, with other members of the New England Horror Writers. Supermegafest is an annual, and local, comic/horror/sci-fi convention featuring celebrity guests (including Burt Reynolds, Kevin Sorbo, and many, many more, including a reunion of the cast of film The Warriors), dozens of comic artists/writers, and of course us lowly authors. We’ll be selling our books and speaking at panels. Some of us are also offering a limited number of attendees free fiction editing services. If you’d like to check it the whole shebang, you can find all the information at www.supermegafest.com! I’ll be there all day Friday, Saturday and Sunday morning. Followup: it was a great weekend. met a lot of cool folks, and sold some books, so well worth it. Above is a picture of the gang on the final day. Rob Smales, me, Gordon Bean, John Dennehy, Scott T Goudsward and K. H. Vaughan. Special thanks to Stacey Longo Harris for snapping the picture! Finally, finished shuffling events and people around for consistency, added new scenes and of course edited the boogers out of the very rough first draft. The second draft is complete. It's usually the longest of the redrafting exercises because almost everything gets revised. Going word by word through a manuscript used to be daunting, but I enjoy it because I expect it to be a lot of work. Now, the decision: jump right into third draft or go through G. Daniel Gunn's horror novel Lost in the Woods once? I think I'll stay with Locusts for a while. Have momentum and the characters still feel fresh in my head. The third run-through of any manuscript, for me, is always the most humbling, because every sentence and scene should be better than the first time through, so my expectations get skewed, because they rarely are. The lst draft was spent doing a lot of rewrites - rewrites which are, in many ways, first drafts themselves. Still, the final product is cohesive and flows nicely, and to be honest it's a cool story. Now I just need to put my head down and edit, edit, edit. Never let them see you write, I always say (a derivation of Jimmy Durante's advice to a young Burt Reynolds: Never let them see you act, kid). You should revise, and revise, until the sentences and words take a back seat to the scenes you want them to paint in the reader's mind. OK, waxing a bit poetic here. Time to get back to my writing. 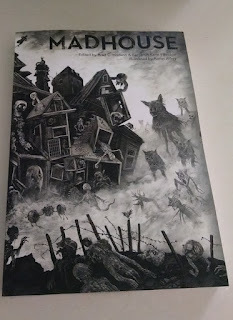 MADHOUSE Anthology Contributor Copy Arrives! 2 or 3 years in the making, the shared-world anthology MADHOUSE is almost here! I just got my contributor copy in the mail today, and it's gorgeous, with artwork for every story and the creepiest wraparound cover since the old Alfred Hitchcock nightmare-inducing covers of the 70's, by Aeron Alfrey. Edited by Benjamin Kane Ethridge and Brad C. Hodson, the overall anthology tells the story of a plague of mental illness that overtakes the staff of a hospital for the mentally ill which has become isolated in a sandstorm. 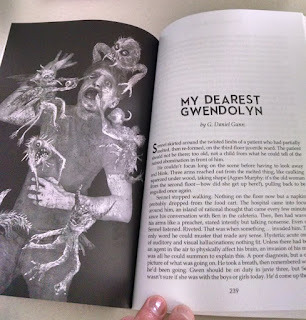 My story, "My Dearest Gwendolyn" in included among amazing and talented authors. The book should be available to the retail public mid-late April.